TriMark Digital was honored for its Unique Use of Social Media in Papa John’s inaugural PAPAs Awards. Papa John’s selected TriMark Digital’s entry in the category—a series of fan trivia videos in partnership with the NFL’s Carolina Panthers—over a strong list of contenders from the brand’s other sports partners. As part of the series, TriMark Digital’s team visited tailgates around Bank of America Stadium prior to a 2016 regular-season game, quizzing rowdy fans about Panthers history and handing out free slices of the new Pan pizza to hungry tailgaters. The videos leveraged Papa John’s partnership with the NFL’s Carolina Panthers, a vital part of the community at large in the Carolinas region, while promoting the release of Papa John’s pan pizza. Video 1: Who is the Panthers’ all-time scoring leader? Video 2: Which other team joined the NFL in 1995 with the Panthers? Video 3: Who was the first draft pick in Panthers franchise history? 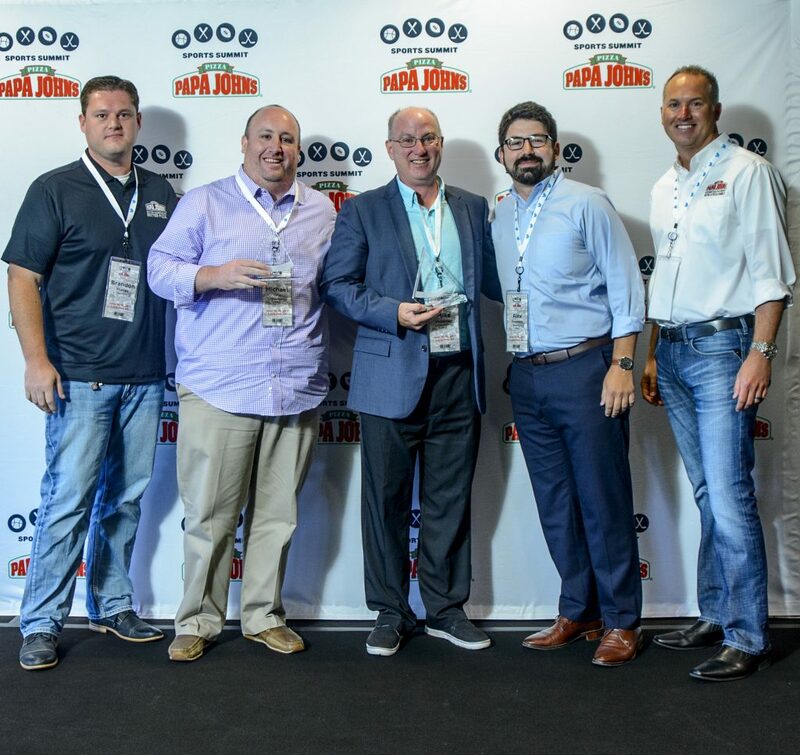 Papa John’s Chief Marketing Officer Brandon Rhoten presented TriMark Digital with the award at the company’s 2017 Sports Summit. Papa John’s Carolinas represents more than 150 Papa John’s locations in North Carolina and South Carolina. They came to TriMark Digital in early 2016 with one goal: Sell more pizza online through social engagement, video content and pay-per-click strategies. TriMark Digital’s partnership with the Papa John’s brand has since expanded into additional markets in the Atlanta, Athens, and Macon, Georgia region. Headquartered in Louisville, Kentucky, Papa John’s International, Inc. (NASDAQ: PZZA) is the world’s third-largest pizza delivery company. For 16 of the past 18 years, consumers have rated Papa John’s No. 1 in customer satisfaction among all national pizza chains in the American Customer Satisfaction Index (ACSI). Papa John’s is the Official Pizza Sponsor of the National Football League, the Official Pizza of Major League Baseball and the Official Pizza Partner of the National Hot Rod Association (NHRA).